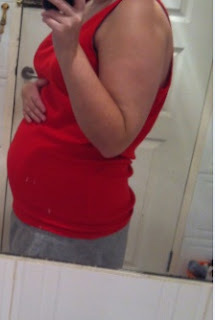 6 comments on "Finding Out and Announcing Pregnancy"
What a beautiful and emotional post! Loved reading this. Awwww such a lovely post!!! It can be hard when you feel young still, my sister was the same with her first - she was so worried to tell my parents, even though she was 22!! She made me do it or her in the end while she hid in her bedroom lol. I LOVE your bump pics, so cute!!! And yay for being the boy producer! I was the same, first boy in 30 years! lol. Aw bless her. I really think that I'll be just as scared if/when I do it again! My family were so happy that there was finally another boy - I'm sure yours were the same, Hayley!